Description Photo blurry. Photo is in the History of the Methodist Church scrapbook; loaned by Helen Grigg. 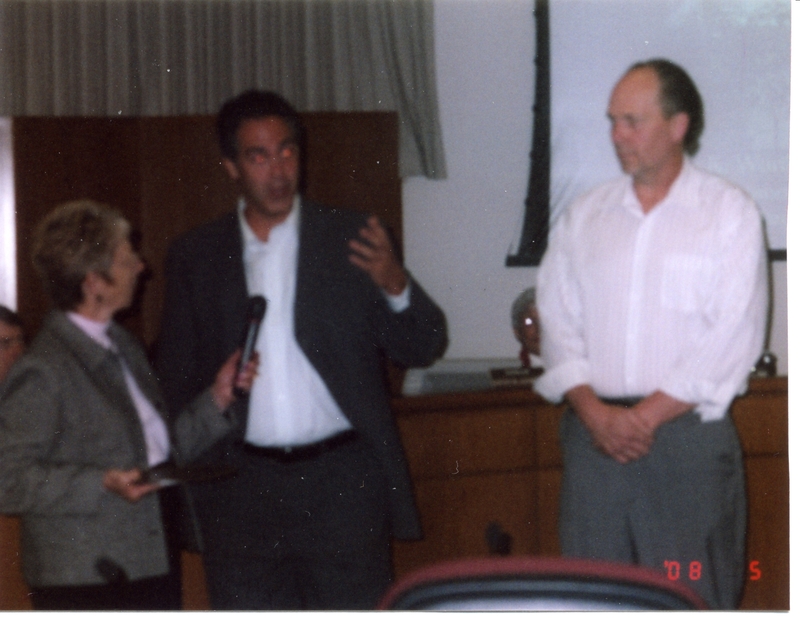 Judie Hammerstad, Kevin Pritchard, and Jim Larsen. Presentation 2008 relating to the James K. Worthington House. House located at 885 McVey Rd. Physical Description H 3"" x W 4""